Danny Gilderman, a boy of 18 working as a ranch hand for his father's cattle farm in western Texas, discovered at a very young age that he had been born with the ability to control the forces of gravity around him. Throughout his childhood and teenage years, Danny used his powers for simple chores to satisfy his boredom (after all, farm life is no party.) On his eighteenth birthday, Danny found a dusty flyer in his rusty old mailbox. The flyer invited all to join the world's greatest battle in Void City. Living on a peaceful family farm, Danny had a quaint knowledge of fighting. 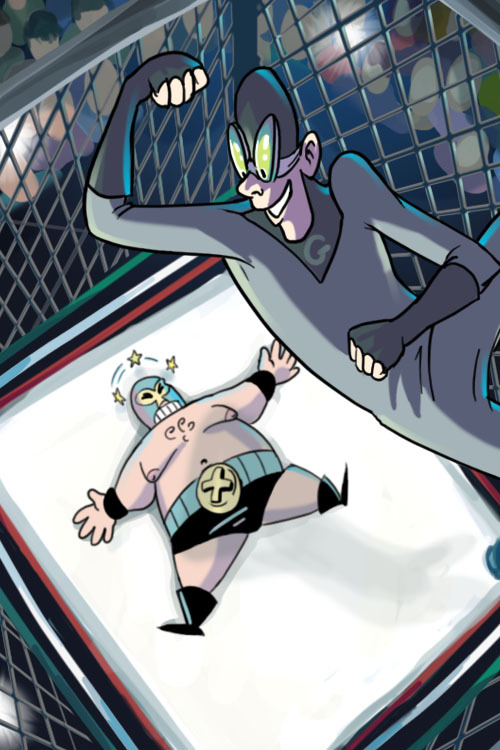 So, taking inspiration from his father's old, wrinkly Mexican wrestling magazines, Danny decided to join the grand competition and apply his powerful skills to the outside world as a lightweight amateur Luchadore. 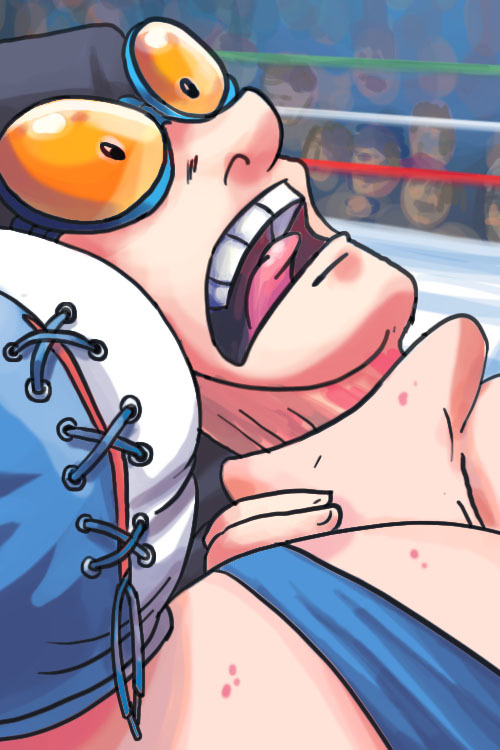 Along his arduous journey to Void City's grand challenge, Danny, now known by his mask-name, G-Force, trained in Mexico amongst other fighters, using his gravity-defying high-flying corkscrews, bodyslams, powerbombs, and piledrivers, as well as his own unique finisher, the Texas Sunset, and soon became the first American to win the Lightweight Luchadore Title Belt in the Mexican Minor League Lucha Libre Championship. 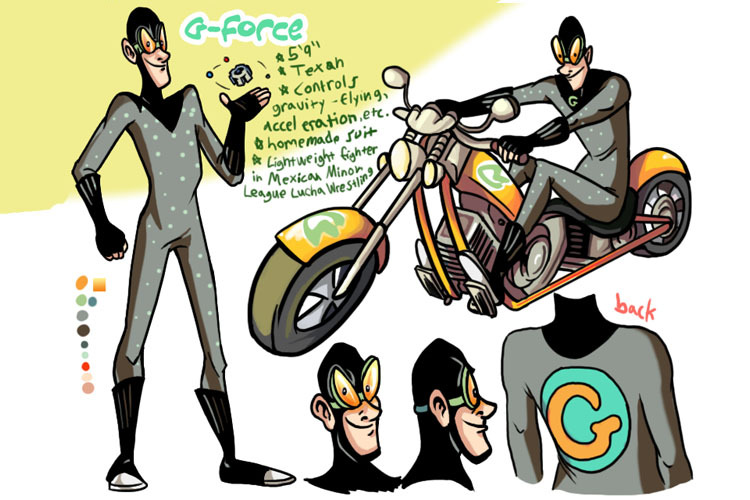 Confident and poised for the imminent battle, G-force then left Mexico and drove ahead towards Void City.